Never bring bed frames, mattresses, box springs or upholstered furniture found on the street into your home. 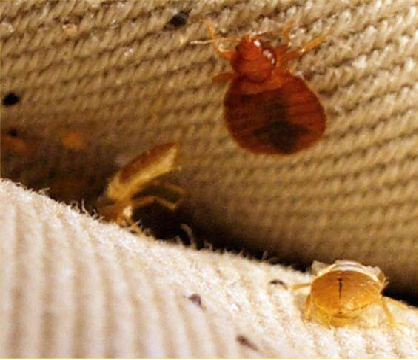 Check all used or rented furniture for bed bugs. When traveling, inspect the bed and furniture. Keep suitcases off the floor and bed, and inspect them before you leave. 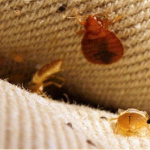 If you suspect you have been around bed bugs, immediately wash and dry your clothing on hot settings or store it in a sealed plastic bag until you can. Seal cracks and crevices with caulk, even if you don’t have bed bugs. This will help prevent bed bugs and other pests from coming in.